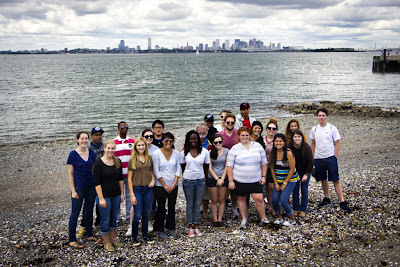 STH/STB interns, staff, and marine educators left Long Wharf to begin our journey to Spectacle and Georges Islands. Leaving behind the skyline for the water was a welcomed change of pace. Upon arrival at Spectacle Island, we learned some history of the island and its early inhabitants. The now beautiful island was once a dump between 1935 and until the 1990s. Before it was a dump, Native Americans made the island a fishing and clamming camp. Thanks to the dirt from the Big Dig in 1992, the island has been rejuvenated to serve as a public park. We walked along the beach uncovering as we went. After our walk, we took turns showing what we had collected and telling stories about their past lives. 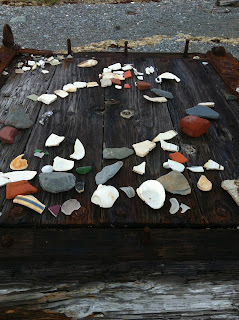 Among the findings were a rainbow of sea glass, pottery artifacts, spark plugs, and marbles. There was also a discussion of what was "trash" and what was "treasure". Some things were easy to classify, while some staffers found items to have special significance that they believed counted their "trash" as "treasure." 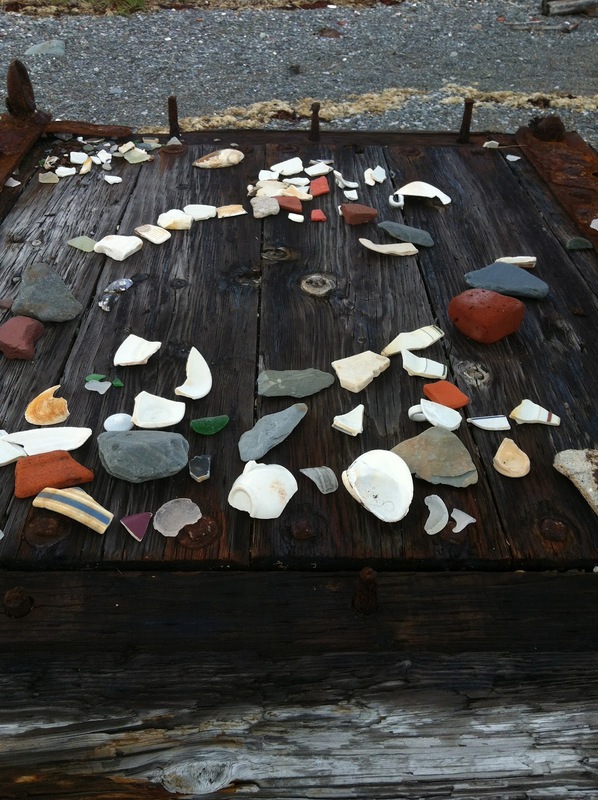 After show and tell, we returned our "treasures" back into the sea. As a side note, this discussion on trash got me thinking. When I learned about the island's past life as landfill, I started thinking about the past of life of trash. At first, I wanted to clean the island of all things that weren't naturally found on beaches, but I realized their can be beauty in what was once someone else's garbage. I will definitely think more before I throw out. Back onto the ferry we went to travel to Georges Island, home to a Civil War fort. The island was equally beautiful as Spectacle but with much different scenery. We walked along the rocky shore to unveil green crabs hiding among the rocks. Later we ventured into the fort the learn more about its history and explore its various rooms. The most memorable experience was walking through a dark passage that was so dark you couldn't see the person ahead of you. It was a disorienting experience, and I was happy to emerge back into the fresh air, to feel the grass, and see the comforting sight of the ocean. From there, we climbed the stairs to one of the fort's highest points to look upon lighthouses in the distance as well as the town of Hull. The rain came in, and took us away from the island. We ran to the ferry to be returned back to the harbor in a hurry to beat the approaching storm. It turned out to be a great day for learning the history of Boston harbor and to see new sights. I hope to be going out to the islands much more throughout the summer. I would love to return to Spectacle to hike along its trails and to sunbathe. Hello! 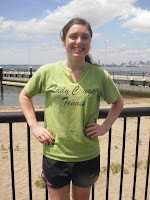 My name is Carly and this is my first summer with Save the Harbor / Save the Bay! Just a few weeks ago I graduated from Weymouth High School. This fall I start at a local community college and plan to receive a Bachelor of Science degree in Biology and Psychology. Ever since I was 12, I've spent many of my hours volunteering closely with wildlife and educating onlookers. I started off at my middle school's science center for three years, then spent almost five years at the New England Wildlife Center, metro-Boston's only comprehensive wildlife hospital in the area. I later moved on to NOAA's Stellwagen Bank National Marine Sanctuary, and recently started as a Keeper's Aide at the Franklin Park Zoo. And last but certainly not least, I've been lucky enough to be chosen as a junior program assistant with Save the Harbor / Save the Bay! Already we've visited places I've never thought I'd see before. Spectacle Island's view of the Boston skyline was breathtaking, as well as the vintage treasures that covered the shore. Up next was Georges Island, and the view of Hull, Boston Light, and the thunderstorms miles away in the distance were also spectacular! I feel so privileged to be part of a program with not only dedicated and motivated individuals, but being able to share my knowledge and love of the ocean with kids who may not otherwise have the chance to experience their harbor in such a unique way. Hi! 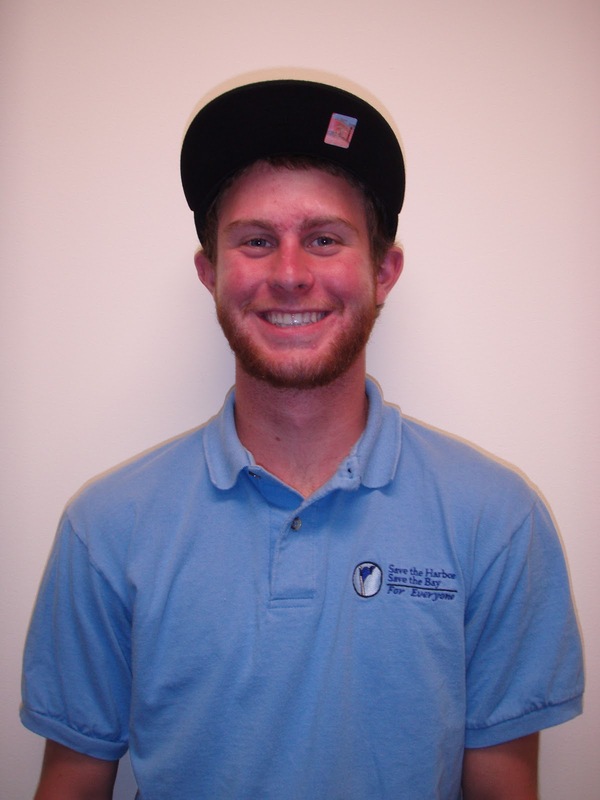 My name is Andrew Bauld, and I'm a first year Senior Harbor Educator this summer at Save the Harbor. I've been lucky enough to spend most of life near a body of water. I'm from the great state of New Hampshire and grew up on the shores of Lake Winnipesaukee in Wolfeboro, NH. My love of the sea began at early age when I performed as the "Sea Urchin" in a second grade play about marine life. Ever since I've been hooked. In between, I've had many watery adventures, from sailing aboard a 137' schooner, to deep sea tuna fishing Oceanographer's Canyon, to spearfishing in the Bahamas. Since graduating from Tufts University in 2007 with a degree in English, I've taught 5th and 6th grades at an elementary school in Massachusetts. I love working with kids and getting to share with them my passions, ranging from 20th century literature to the Boston Red Sox to the history of the New England whaling industry. I've also coached school basketball and tennis teams, and served as an advisor for student government. In my spare time I enjoy running, golfing and playing tennis, reading, cooking, and fishing (of course). This summer I'm most excited to get to spend my days at some of the most beautiful places in Boston and explore them with some great kids and coworkers! 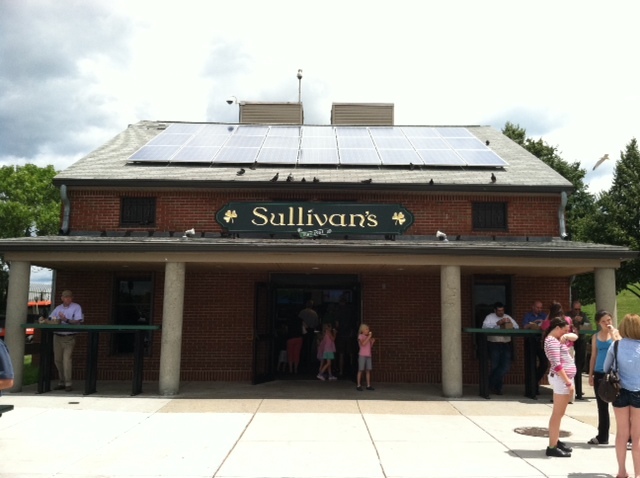 Cheers to the start of a great summer on the harbor! Programming hasn’t even started yet, and yet I find myself writing again about the fun stuff that the Save the Harbor/ Save the Bay Staff has been up to this past week. 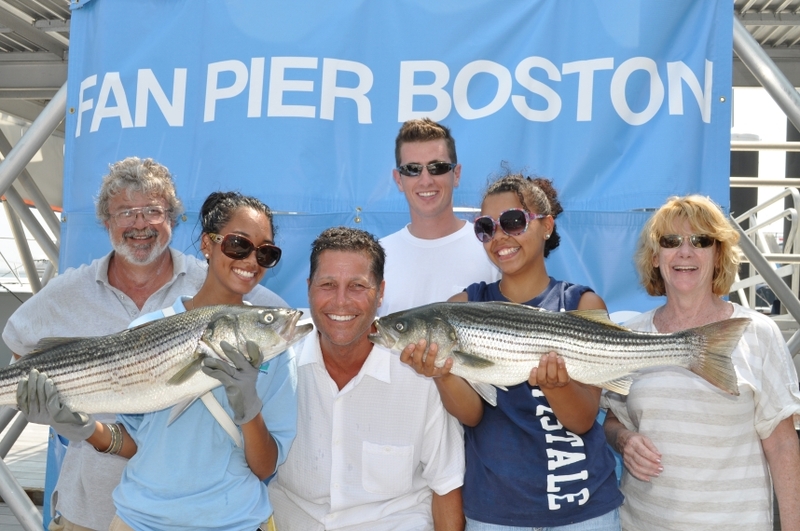 Bruce taught us all how to fillet a fish, using Pollock as our example, which was very exciting. Though I have caught fish in the past, I have never actually cleaned it up to eat later before. Everyone had a try at filleting fish including my coworker Andrew, who you see in the photo below. Bruce very kindly allowed us to take home what we had filleted ourselves and cook it up for dinner. I was thrilled to go home with fresh fish and fry it up. Other than working with Save the Harbor/ Save the bay, cooking is one of my favorite things to do. As you can see in the photo, I made quite a feast for my sister and myself. Fish is actually quite easy to cook. I prepared my fish by lightly dredging the fillet in flour, salt, and pepper. Then I buttered up a sauté pan and gently put the fish in on high heat, and let it cook for about 5 minutes, only about 2 minutes per side. Unfortunately, my pan wasn’t well taken care of, so the fish stuck to the pan and I had to eat it in the form of flakes. However, it still tasted incredibly good because it was so fresh. The sauce I made consisted of mushrooms, red onions, and yellow bell peppers which I sautéed in marinara sauce and poured over some pasta. 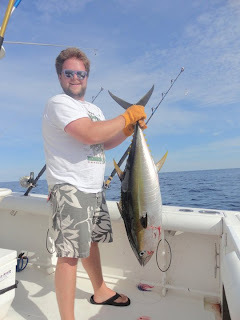 Hope all of you get a chance to enjoy fresh fish this year and if you would like any advice on how to cook it up, feel free to comment on this post and I will get back to you in a jiffy! After a very eventful year, I have returned to Boston this summer to join Save the Harbor/Save the Bay for my second year of summer programs. I am happy to see others return this year as well as all the fresh new faces. For those who don’t know me, I’m Annie Adams and I’m originally from Chicago. I spent the last four years of my life down in the Sunshine State and attended Eckerd College. I graduated in May and I majored in Environmental Studies, with a minor in Coastal Management. This week I spent a great deal of time getting to know who I’m working with better and going to check out all the sites that Save the Harbor/Save the Bay will be exploring this summer. 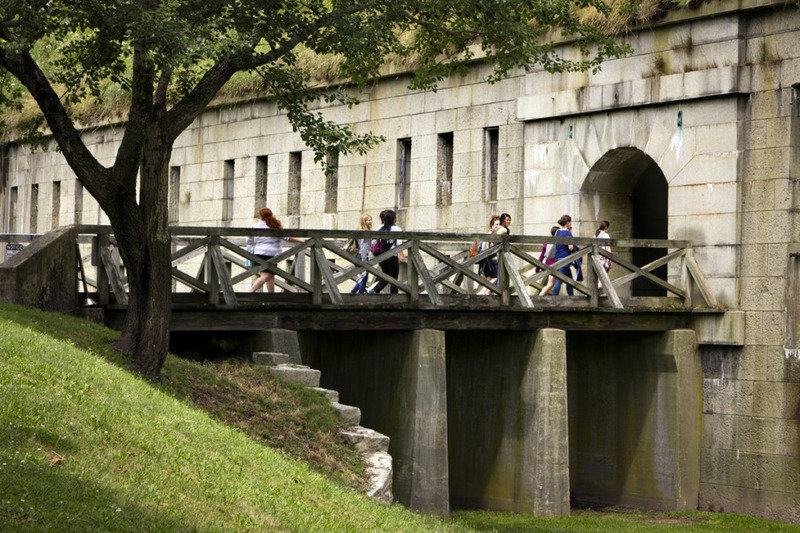 The highlight has been going to check out Spectacle Island and George’s Island, which is part of our All Access Boston Harbor program. 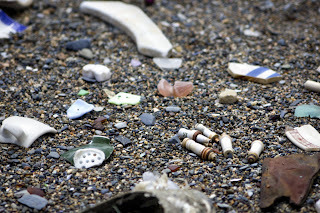 At Spectacle Island, we all combed the beach to look for interesting sea glass and found many cool things like parts of old tea cups, cosmetic containers, ceramic plates, leather shoes, marbles, and old ceramic spark plugs. One thing that I had found, which was pretty interesting, was a top to a oil bottle or possibly a perfume bottle. About three feet away from it was the neck and opening of the bottle in which the top fit perfectly into. I gave it to Spectacle Island’s museum for display. At George’s Island, we explored the fort that exists there and it was an amazing experience. 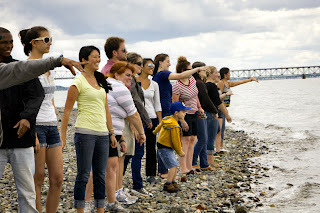 First we all spent some time on the shoreline looking for crabs, and found several of the invasive Asian Shore Crabs. Then we went up to the fort and explored one of the dark tunnels. It was pretty scary at first but with all my coworkers, it turned out to be pretty fun. Thankfully we were able to get off the Island before the bad weather affected us too badly. I had so much fun with my teammates this week, new and old. I’m really excited for the summer of 2012, and I hope you all will have as much fun as I do. See you soon!!!! Hello All! I want to tell you a little bit about my amazing trip today. As a staff member of Save the Harbor Save the Bay I received an opportunity to see the beautiful islands in the Boston harbor that we all have worked so hard to keep available for everyone to see. As a girl from Nebraska, let me tell you, it is WORTH IT!!!! There are so many activities and cool things to experience and I loved every minute of it. The first stop we made was at Spectacle Island. Everywhere you go on this island there is something interesting and fun to see. Treasure beach was defiantly my favorite! Walking along this beach and seeing things that resembled other's lives in the past really makes you reflect on yourself. I often found my self wondering "why did they choose something as beautiful as this to throw out?" or "what did they use this for?" It also got me thinking about the things that I throw out compared to the things that I treasure. Finally I came to the simple conclusion that everyone knows, "whats one man's trash, is another man's treasure." To the left is a picture of a few things that I found while walking the beach. I discovered all kinds of sea glass which glittered the beach along with the beautiful shells of blue mussels. 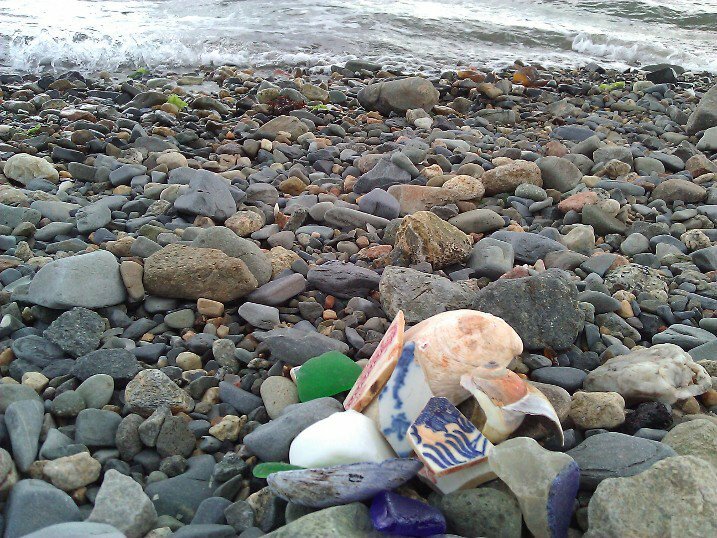 I also found a great amount of beautiful china scattered along the beach. This was the number one item I found on the beach that I really connected to because it reminded me of all of my Grandmothers china and how she adored it. Spectacle Island was a blast and I recommend everyone to visit and explore the amazing stories the Island has to offer. Next we floated on over to Georges Island. This was my second time visiting this island but I have a feeling that every time I do visit, I will learn some new. On this trip I learned about the Lady in Black and how she died. I also learned a couple other stories about different Generals and soldiers. After I found out about these individuals and how they haunt the Island we went through this pitch black tunnel. Lets just say, it was probably one of the scariest things I've done in a long time, but as an award for my bravery the tunnel led out to a beautiful path to the ocean. I am so thankful that I have had the opportunity to see these amazing islands and the cool things they have to offer. I am proud that I am part of an organization that provides kids a trip to these islands because it is defiantly a trip they won't forget, I know I won't. So if you haven't been out to the extended wonders of Boston Harbor, get out and EXPLORE! Zoey, a baby spider monkey. 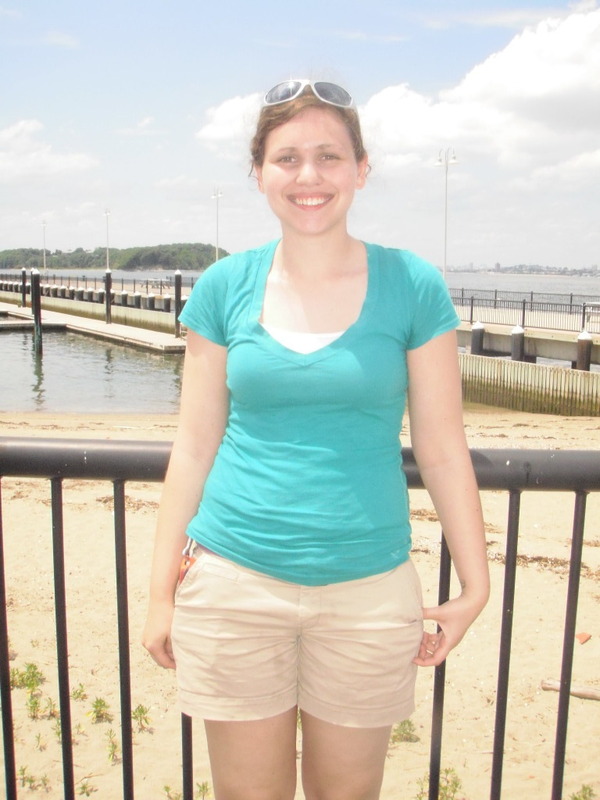 My name is Mary Angilly and I’m a first year addition to the Save the Harbor/Save the Bay staff as a Senior Marine Educator. I graduated from Northeastern University in 2011 with a B.S. in Psychology and Biology. I had many amazing experiences at NU, but what really made me fall in love with children and the non-profit world was a 2009 study abroad to South Africa. I (and other college students, of course!) spent time working with local citizens to start up an NGO. My group chose to work with a clinic that consisted largely of orphaned children living with HIV/AIDS. Many of them could not afford the simple things we often take for granted, such as shoes and even toothbrushes. We ended up connecting the clinic with a recycling system that helped them become not only environmental stewards, but more in control of their own income. Teaching empowerment to individuals around the world through environmental sustainability is a long-term goal, and I believe this largely starts with youth. 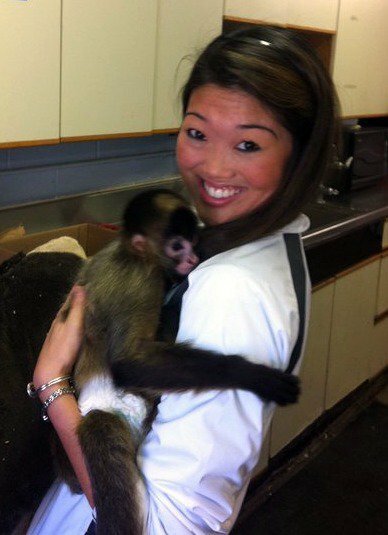 While I’ve primarily worked with animals – at zoos, the MSPCA, and an animal hospital (never a dull moment!) – I have always had a special passion for the environment as a whole, as well as the desire to give others this sense of appreciation. I grew up in a very rural area, able to see nature up close and personal on a daily basis (Seriously! I’m talking deer, turkeys, snakes, and foxes in my backyard “serious”). During the summers, I spent my time beach-combing on the shores and in the waters of Rhode Island at my grandparents’ house. I was fortunate enough to have these kinds of experiences and I think it’s important that all young people are able to have these opportunities as well. The harbor is an amazing resource at the fingertips of Bostonians yet so many of them don’t realize it! STH/STB’s commitment to sharing the harbor with young people is what truly sold me. Being able to see a different perspective than what is generally seen in everyday urban living can have a huge impact on a person of any age, but especially youth. Enough blabbing… Let’s get our feet wet and get this summer started! What a great start to the summer here at Save the Harbor, and the kids haven't even shown up yet! We kicked off the day with some get-to-know-you activities at the Bank of America Pavilion before walking over to Long Wharf to catch the ferry out to Spectacle Island. The group had a fun time exploring the beaches for artifacts, finding (amongst many items) leather soles, pottery pieces, ceramic spark plugs, a couple marbles, and an abundance of sea glass. Next we headed over to Georges Island. 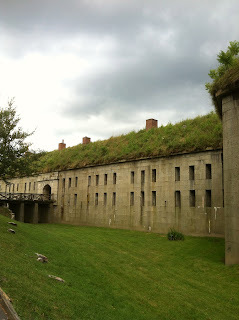 We explored historic Fort Warren, learning about a particularly vengeaful soldier who unsuccessfully attempted to use a cannonball to pay his commanding officer back for refusing him shore leave; and we heard the tale of the Lady in Black, who found herself at the end of a noose after attempting to save her imprisoned Confederate husband who was locked away on the island. After braving the pitch black tunnels below, we headed up to the top of the rampart for a final spectacular view of the harbor. Despite getting caught in a rainstorm heading back to Boston in the afternoon, everyone returned inspired and excited for the start of what promises to be a special summer! From the mountains to the ocean -- back to Boston! Hi everyone! 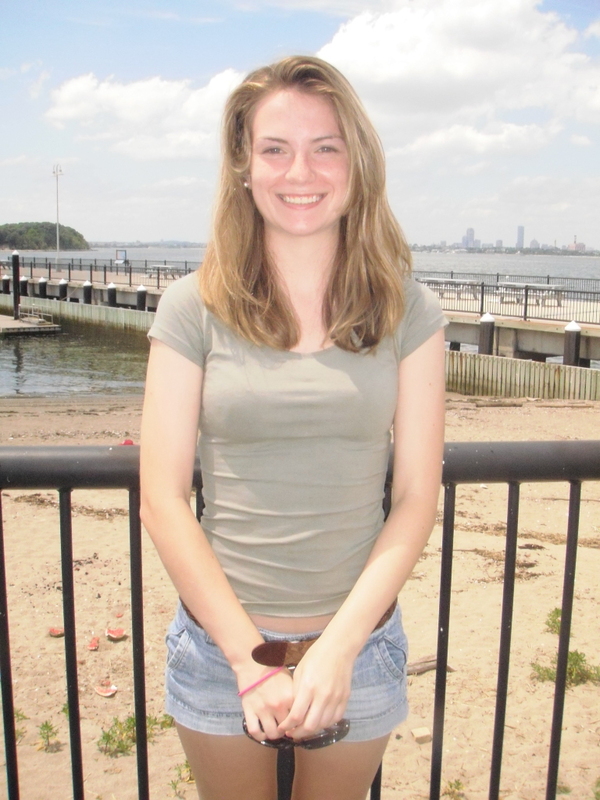 My name is Ashley Wakefield, I am 23 years old and will be spending my first summer back in Beantown with Save the Harbor/Save the Bay as a Senior Harbor Educator! I could not be more excited about this opportunity. With the ocean, the best city in the world, and kids eager to learn about their surroundings, could it get any better? Let's back up, and I'll give you a little background on myself. I was originally adopted from South Korea, and grew up in upstate New York across the street from a lake which honestly made my childhood awesome, and rarely boring. As the years past, I developed a love for all-things-Boston -- the city, the Celtics, the Patriots and most of all the Red Sox. After graduating from high school, I attended Ithaca College in New York's Finger Lakes region to study sport. Despite realizing early on in my college years that I was slowly losing interest in sports, it was definitely no set back as another passion slowly crept up in the back of my mind. This passion was a world away from sports, and combined water -- specifically the ocean, marine mammals, marine creatures, beaches, and all-things marine-related! After college, I ended up serving with AmeriCorps for the past two years. 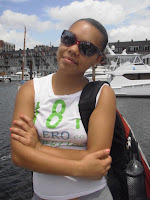 My first year was spent in Boston with City Year, which was incredible as I served on the Civic Engagement Team. Last year, I moved across the country to Denver, CO to serve in an urban high school. Despite my love of adventure, my heart remained in Boston. With that said, it is great to be back in this beautiful urban environment. I cannot wait for our summer youth programs to begin! Not only will I get to share my love of Boston, the harbor, and its marine life with kids who want to learn, but I'll be spending each day out on the water! I am positive that this will be my most exciting summer yet, and I wish the readers of this blog a happy summer as well! 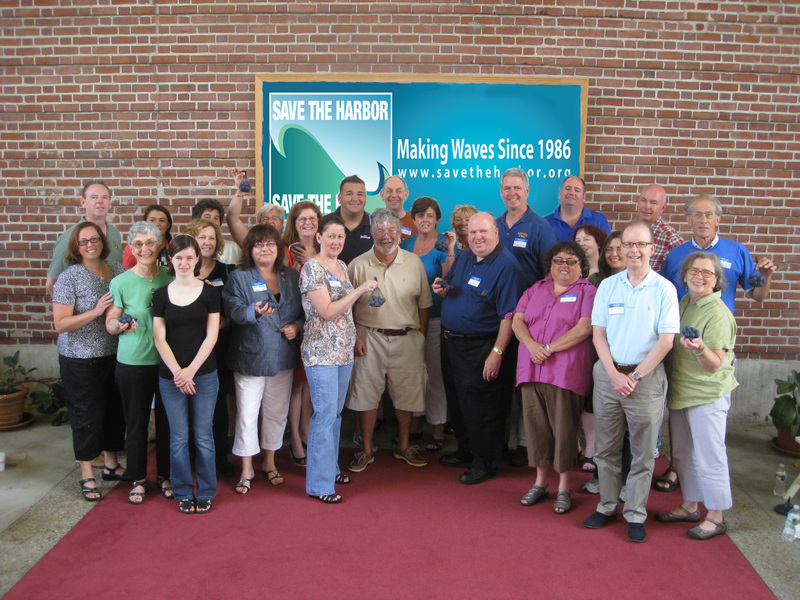 Save the Harbor Save the Harbor / Save the Bay awarded more than $25,000 in grants to 12 groups to support 30 free public events in nine beachfront communities from Nahant to Nantasket at an awards breakfast at our office on the Boston Fish Pier on Saturday, June 23rd. This year’s “Better Beaches” events include sand sculpting competitions, beachfront concerts, environmental education programs, family fun nights, reading programs, and beach programs. In addition to the grant, Save the Harbor / Save the Bay also gave each group 22 one-inch diameter blue marbles to scatter on their respective beaches. Anyone who finds one of these marbles between now and the end of the summer will be entered into a drawing to win one of five prizes of 40,000 TrueBlue points from JetBlue Airways. Click here for more information about this "Marble-ous" summer treasure hunt. 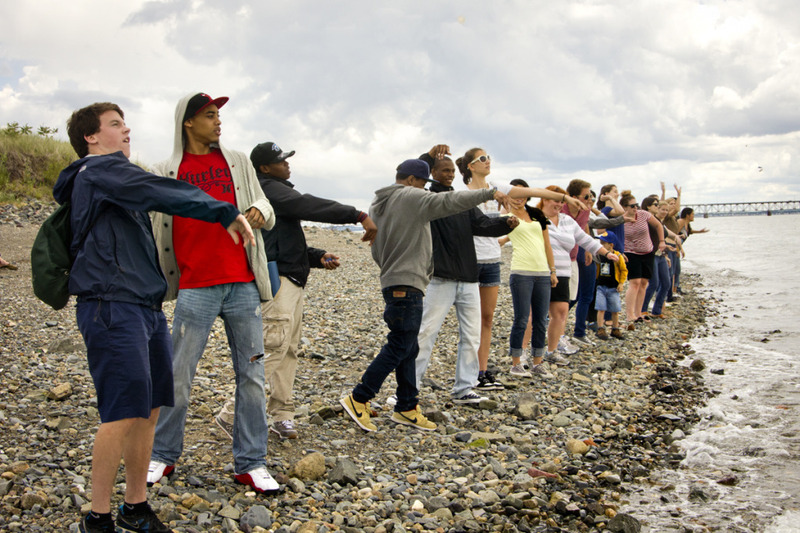 Save the Harbor's "Better Beaches" program was launched in 2008 in partnership with The Boston Foundation, whose early support helped make it a success. In the past four years, local community partners in Nahant, Lynn, Revere, Winthrop, East Boston, South Boston, Dorchester, Quincy, and Hull have leveraged $116,500 in small grants from Save the Harbor with $403,500 in cash and in-kind donations from local government and small businesses for a total of $520,000 to support 130 free beach events and activities for everyone to enjoy. Funds to support this year's grants came from the 2nd annual Harpoon Helps Cupid Splash and the more than 500 “Splashers” who plunged into the chilly ocean water to support their beach. Additional financial support comes from Save the Harbor's "Better Beaches Program" funding partners at Harpoon Brewery, JetBlue Airways, National Grid, Comcast Massachusetts, the Harold Whitworth Pierce Charitable Trust, Russo Marine and Legal Sea Foods, as well as our in-kind supporters at the BCYF Curley Community Center and the Department of Conservation & Recreation. Harbor Islands and the marine environment. To find out more about Save the Harbor / Save the Bay’s Better Beaches Programs, visit our website at http://www.savetheharbor.org. We first began our blog "Sea, Sand & Sky" in 2008. Since then, dozens (and dozens!) 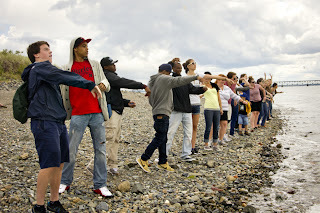 of people, including our staff, Senior Marine Educators, Lead Boston Harbor Explorers, Junior Program Assistants, volunteers, communications interns, events interns, and policy interns have all contributed their time and their energy to make it a success. and thanks to you for caring! I'm a former Senior Marine Educator, "back" for another summer as Lead Educator with the Youth Environmental Education programs. I'm so excited to get out on the water and learn from the new summer staff! I'm a new edition to the Save the Harbor/Save the Bay staff as the environmental educator and a Senior Marine Educator. I'm so excited to bring the youth of Boston to the Harbor and the Fort Point Channel at Boston Children's Museum. I am a recent graduate from Boston University with a degree in Mechanical Engineering. I'm excited to join this wonderful team as a Senior Marine Educator. I can't wait to get my feet wet! I love the Red Sox and the Boston Harbor! 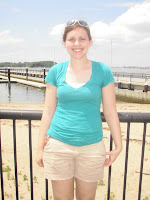 I'm a first year Senior Marine Educator at Save the Harbor/Save the Bay. I grew up in Sudbury, MA! I just graduated from University of New Hampshire where I majored in marine and freshwater biology. This past May I graduated from Stony Brook University with a degree in Marine Sciences. I cannot wait to get started and get back to Boston's beautiful beaches as a Senior Marine Educator. 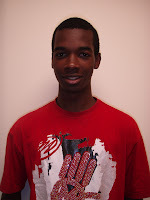 I'm a rising junior at Clemson University. I'm back for my fifth year, this time as a Senior Marine Educator. I love the ocean and I'm happy to be back! 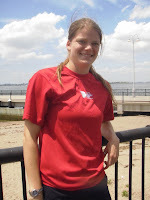 I'm a Senior Marine Educator for Community Boating, a new site on the Charles River! 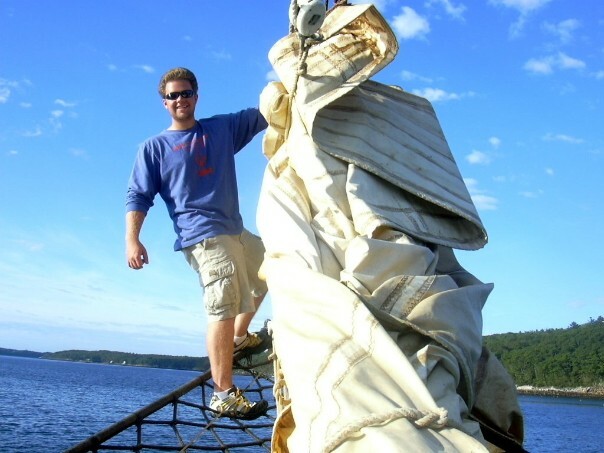 I'm teaching sailing in the morning and an environmental education program in the afternoon! I recently graduate Oberlin College in northern Ohio and excited to be working with this great organization. I recently finished my first year at St Johns University and I'm glad to be back for my third summer at Save the Harbor/Save the Bay. 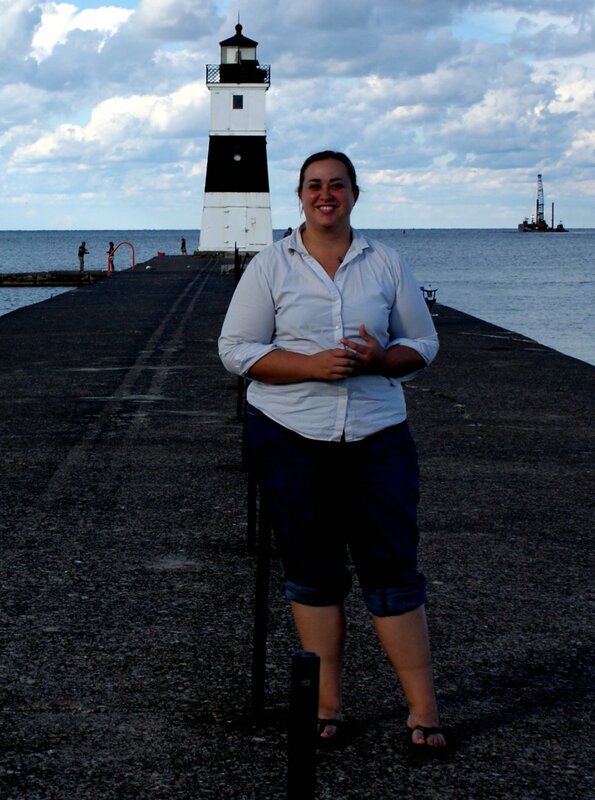 I'm a Lead Explorer and can't wait to influence many youth with my love of the Harbor. I am a rising senior at Stonehill College. This is my third year at Save the Harbor/Save the Bay and I'm excited to be part of an amazing team as a Lead Explorer! I just finished my freshman year at Wake Forest University. 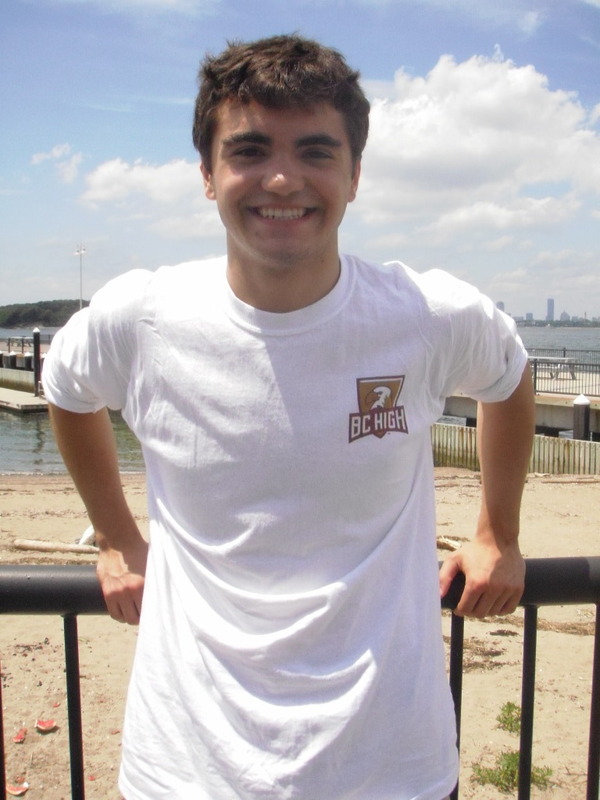 I'm excited to be back as a Lead Explorer at Save the Harbor/Save the Bay for my second year! I'm excited to catch fish! This is my first year at Save the Harbor/Save the Bay and I'm excited to be a Lead Explorer! I'm going to be a senior at Eckerd College in St.Petersberg, Florida. I love the Boston Harbor. I'm the Artist in Residence at Save the Harbor/Save the Bay and now, for my third year, a Lead Explorer! I love drawing, the Harbor, and meeting the new staff every year! I'm going to be a senior this September at the Boston Latin School. This is my first summer working for Save the Harbor/Save the Bay and I'm so excited! I'm a rising junior at Fenway Pilot High School. I can't wait to catch my first fish! My nickname is Manny and I love adventures! I'm going into the 11th grade at Hyde Park High School and I'm excited for my first summer at Save the Harbor/Save the Bay. This is my second summer at Save the Harbor/Save the Bay. I recently graduated John D. O'Bryant School of Mathematics and Science. I'm excited to be back fishing and catching crabs! This is my first summer at Save the Harbor/Save the Bay but I've worked with kids the past two years as a camp counselor. I love meeting new people and learning their stories! 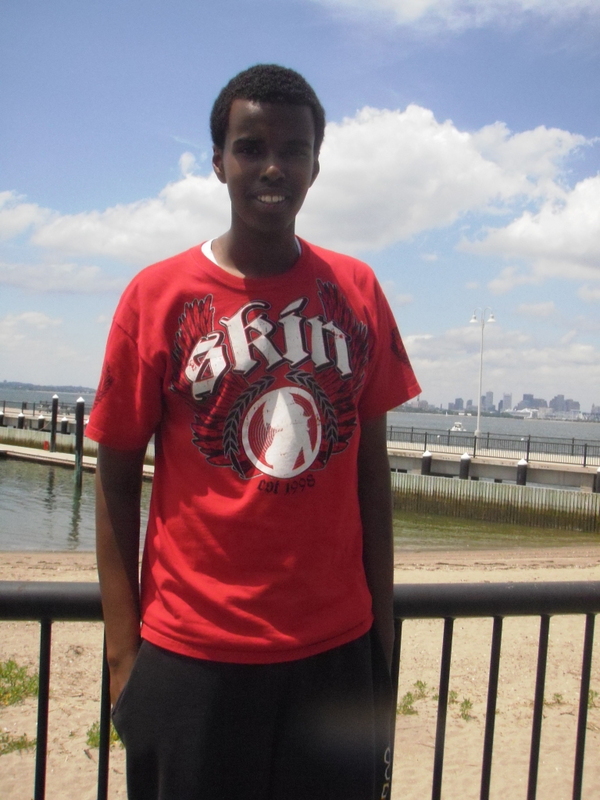 I recently graduated Boston Latin School and will be attending Harvard University next year. I grew up in Dorchester so I've sailed on the Boston Harbor for the past eight years! 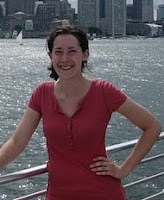 I'm excited to teach young Bostonians about the Harbor! 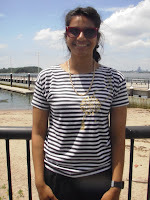 This is my first summer at Save the Harbor/Save the Bay. I'm going to be a senior at Fenway Pilot High School. I'm excited to visit the Boston Harbor Island! 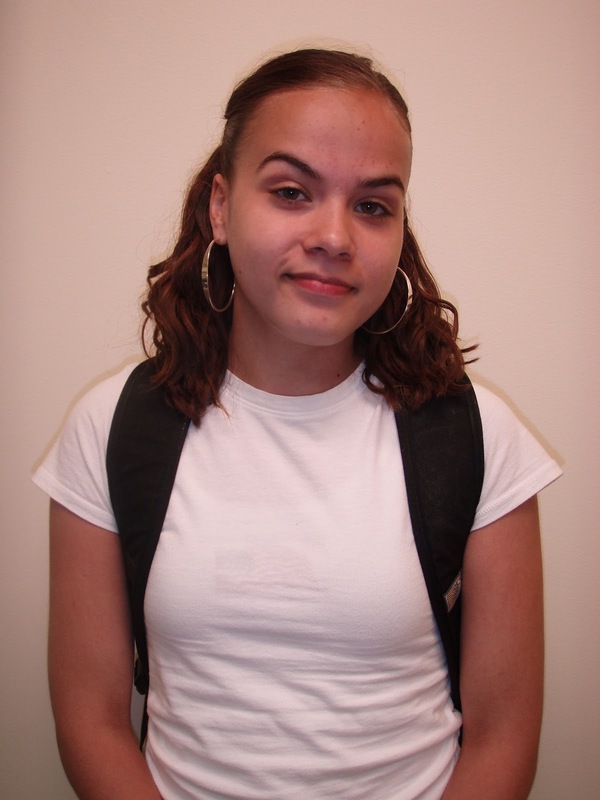 I'm 16 years old and I attend Cambridge Rindge and Latin High School. I'm going to be a junior this September. I love Spectacle Island! I'm going to be a senior at Roxbury High School. I love working out and being outdoors. 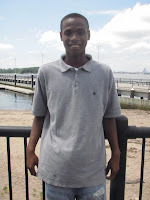 Through my first summer at Save the Harbor/Save the Bay I hope to learn from the kids! 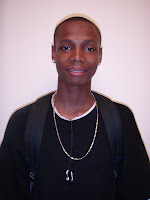 I'm a rising senior at Boston Latin Academy. This is my first year at Save the Harbor/Save the Bay and I'm so excited to fish! This is my first year at Save the Harbor/Save the Bay and I'm so excited for this amazing opportunity! I recently graduated high school. I love traveling and sailing! I just finished up my first year at College of American International. I love kids and I'm happy to be back at Save the Harbor/Save the Bay for the second summer in a row! I'm 17 years old and I go to Fenway Pilot High School. This is my first job and I'm excited to be working at such an amazing organization! I love that I get to be near the water all the time! In September I will be attending Kents Hill . I've already learned so much about the Harbor and can't wait to learn more! I'm going to be a junior at Phoenix Charter High School in September. This is my second year at Save the Harbor/Save the Bay and I can't wait to get started! I'm 15 and going to be a freshman next year at Proctor Academy. I'm looking forward to catch fish and crabs this year. My goal is to catch at least 10 fish! 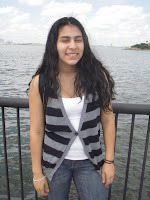 This is my first summer with Save the Harbor/Save the Bay. This job is perfect because I love boating and beaching and hanging out with kids! This is my second year at Save the Harbor/Save the Bay. I just finished my freshman year at BB&N. My favorite thing to do on the water is fish and play with the kids! 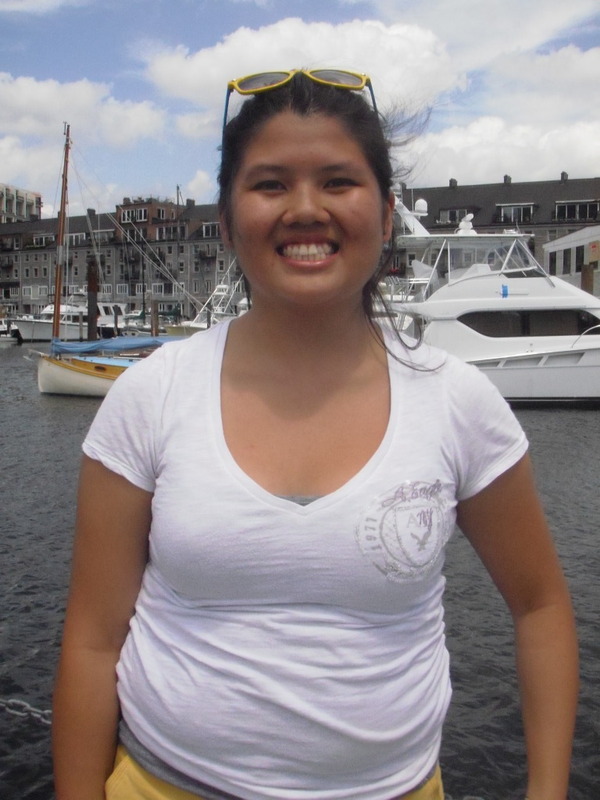 This is my first year at Save the Harbor/Save the Bay and I'm excited to join my sister Thi! I'm 16 and I'm going to be a junior at John D. O'Bryant School of Mathematics and Science. I love marine biology. I graduated from University of New Hampshire with a degree in Marine Biology. Then I graduated with my masters from UMass Boston in secondary education. I've been running the Youth programs for four years. 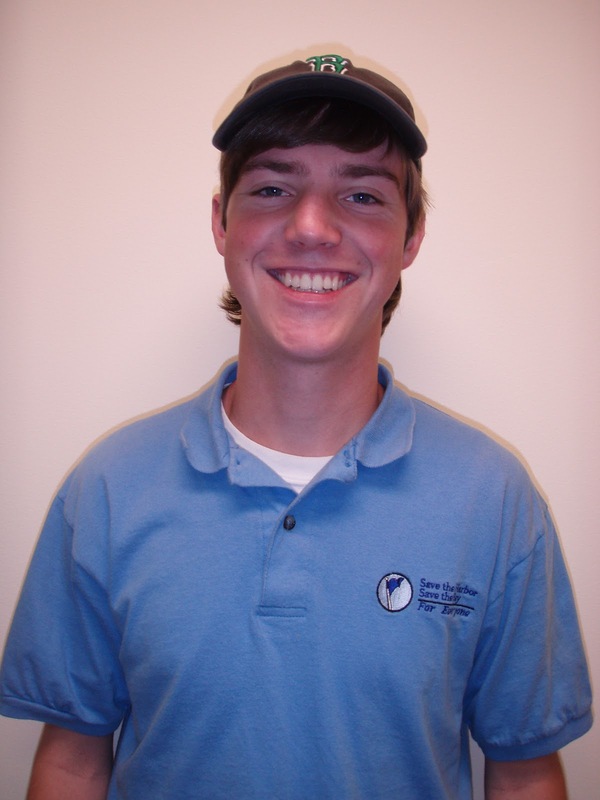 I'm a first year Senior Marine Educator at Save the Harbor/Save the Bay. I just completed my senior year at Brown University. 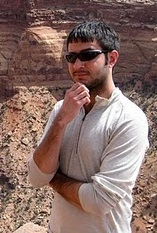 I graduated with degrees in Geology-Biology and Urban Studies. I grew up in South Jersey and Tampa, FL. I am excited to join our wonderful team this summer as a Senior Marine Educator. This fall, I will be a Senior at College of the Atlantic. I've been in love with the sea since I was a little girl. I grew up in Rockville, Maryland. I graduated from Providence College in May 2009. I can't wait to get fishing and crabbing as a Senior Marine Educator with Save the Harbor/Save the Bay. I am an upcoming junior at Stonehill College. Being part of the fishing crew is a great opportunity to put my crabbing and Frisbee skills into action while teaching kids. 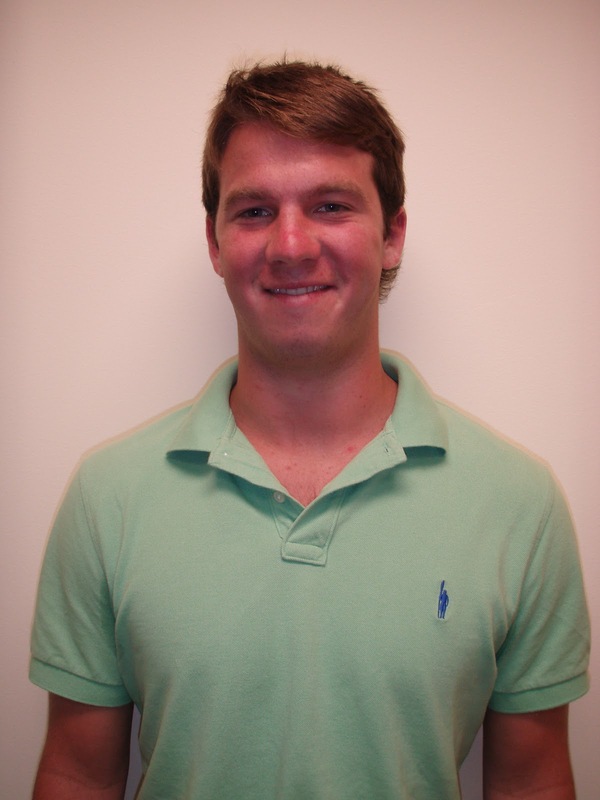 I am an rising sophomore at Clemson University, from Milton, MA. This is my fourth year with Save the Harbor. I love exploring the ocean with kids everyday and consider myself very lucky that I have this job. This is my second summer with Save the Harbor/Save the Bay. I recently graduated from St. Mary's High School. I can't wait to enjoy all the sites and see all the parts of the beautiful Boston Harbor.I'm so excited to be here again for my second summer. I am going to be a junior at Boston Latin School. At Save the Harbor, I am the Artist in Residence. This is my second year and I love working here because I get to meet new people. I am an upcoming senior at Brookline High School.This is my second summer here at Save the Harbor/Save the Bay. I am really excited for a summer filled with fishing, crabbing, and everything else in between. This coming fall, I will be a senior at the John D. O'Bryan. I was told about this program by my older brother Ibrahim Bah. I am very excited to be working at Save the Harbor/Save the Bay. I graduated from Tech Boston Academy, and in the fall I will attend Johnson & Wales. I am very excited to be a part of my new found family at Save the Harbor /Save the Bay. I'm entering 10th grade in the fall at Phoneix Charter High Schoool. I'm very excited to be working for Save the Harbor/Save the Bay. 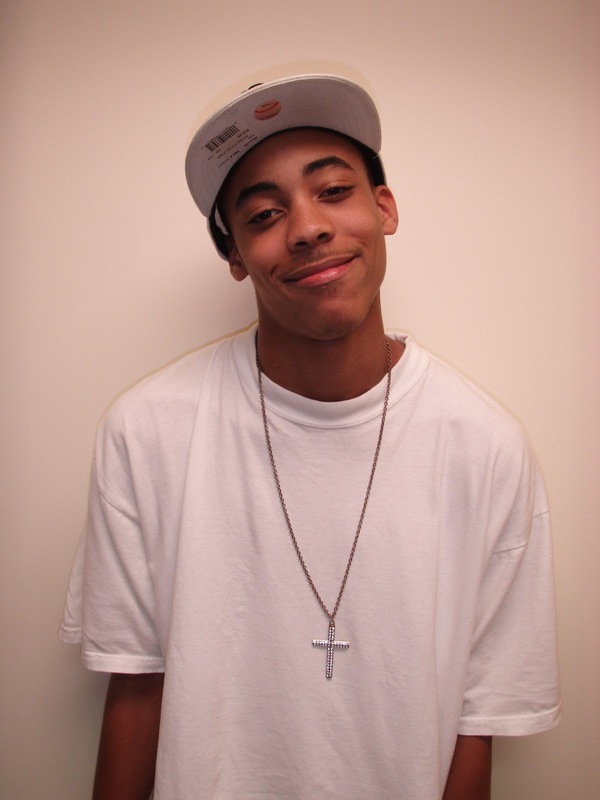 I just graduated for high school in North Dorchester. I will be attending College of American International in the farm. I love kids and have worked at the Salvation Army Camp and the Boys and Girls Club. I'm currently attending Snowden International High School and living in Boston. I'm so proud to be part of this great program. I live in Swampscott, MA. I recently graduated Austin Prepatory School. I'm excited to go fishing, crabbing, and many more fun activities! I'm going to be a sophomore at Holy Cross. I love working with kids and the ocean. I am going to BB&N next year to start my freshman year. This is my first year at Save the Harbor/Save the Bay and I am so excited to learn from the kids and overall have a great time! I am a High School Biology teacher from Quincy. 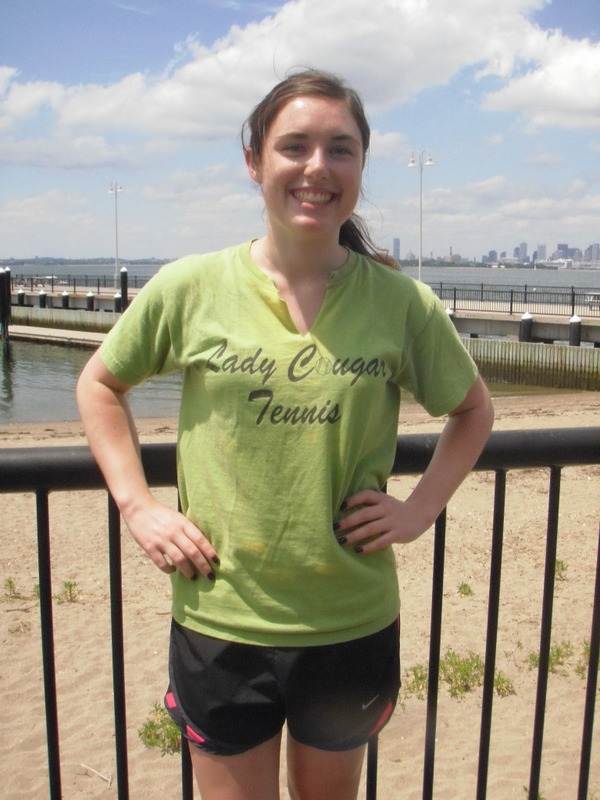 This summer I work mostly at Piers Park and Camp Harbor View. Working with the Boston Harbor Explorer’s program is a great way to connect young people to the harbor and teach them about marine science. I am a graduate of the University of New Hampshire. I work at the Courageous Sailing Center in Charlestown where we enjoy sailing, fishing, and catching lobsters with the kids. It’s great to see them develop marine knowledge and skills. I am a first year Senior Marine Educator at Save the Harbor/Save the Bay. 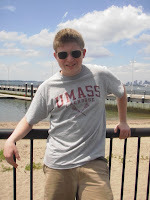 I will be a senior at Boston University this coming year studying Marine Science. I have the best job being outside teaching and learning about all the marine life Boston Harbor has to offer. 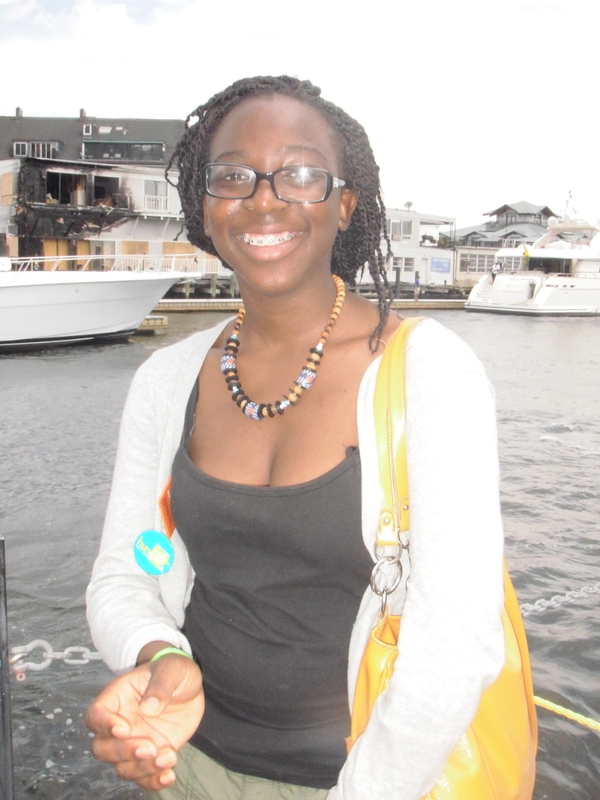 I am from Dorchester and an incoming junior at Boston University majoring in Environmental Science. I work mostly with David (Coffin) at All Access and enjoy teaching and discussing eco-systems with the kids. I am an upcoming sophomore at Stonehill College. Working at Camp Harbor View on Long Island and with Bruce's (Berman) fishing crew is a great opportunity to put my crabbing and Frisbee skills into action teaching kids. I am an incoming freshman at Clemson University, from Milton, MA. This is my third year with Save the Harbor. 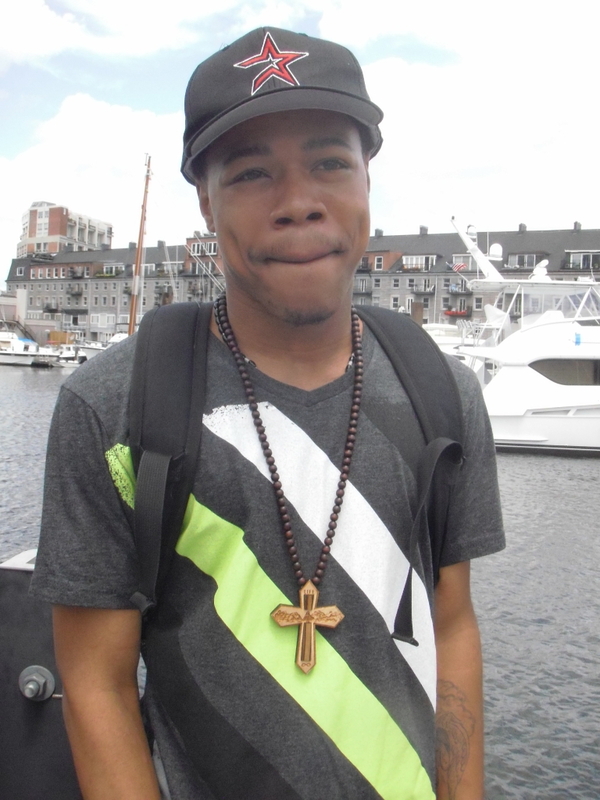 I work mostly at the East Boston and Winthrop Outreaches. I enjoy Biology and teaching kids about the marine life all around them. I’m a Brighton High School upcoming senior. I love being around the water and being a positive role model. I’m an upcoming senior at St. Mary's High School. I’m a Boston native and like to fish and show the kids the underwater camera. I’m a graduate from Charlestown High School. This is my 4th year with Save the Harbor, and the best thing about it is helping the kids learn about the marine life in Boston Harbor. I go to the O’Bryant School of Math and Science. I love being around the kids and being someone they can look up to. I am going to be a sophomore at Boston Latin School. At Save the Harbor, I am the Artist in Residence. I really love doing this because I get to meet new people, experience new things, and draw. 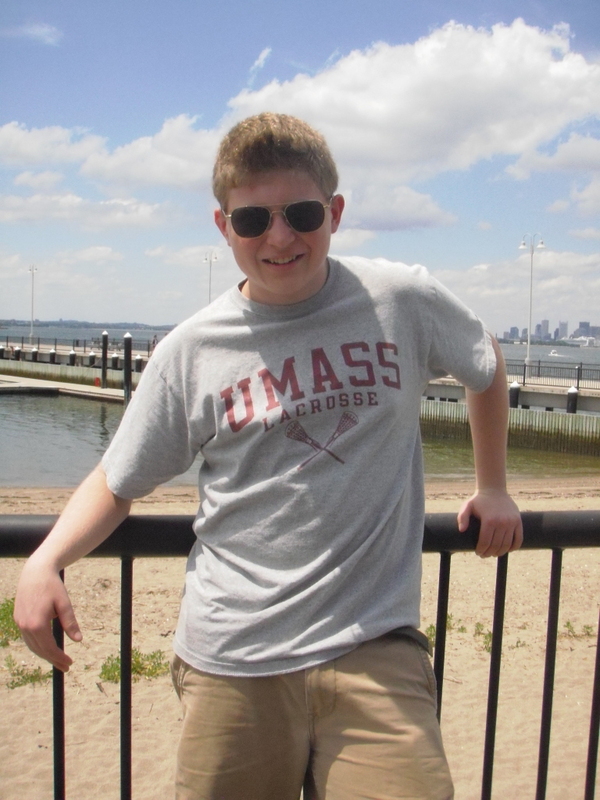 I am from Brookline and an upcoming junior at Brookline High School. I like to watch the kids learn and enjoy all the new, fascinating things around them. I am from Dorchester and attend South Boston High School. I love watching the amazed eyes of the kids when they are watching crabs. I am a future senior at Newton North High School. 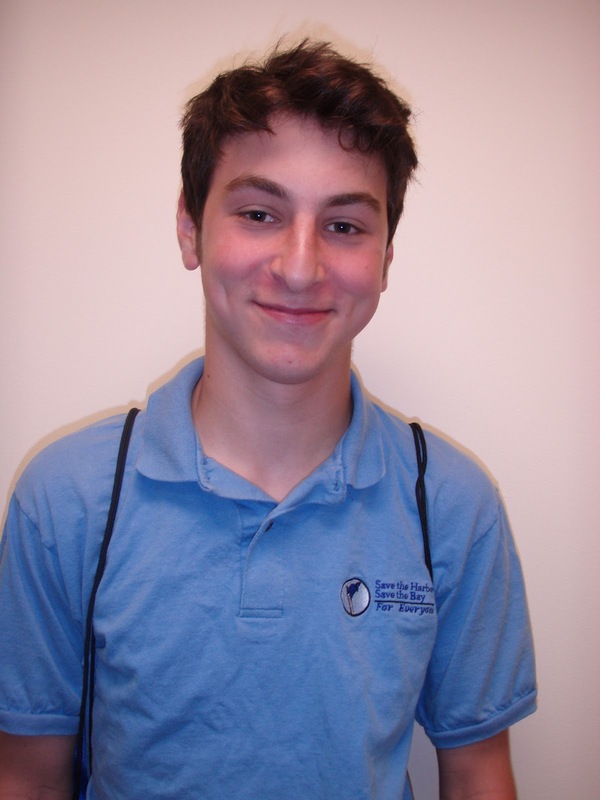 I am 17 years young, work out in the field and in the office at Save the Harbor and enjoy teaching children about the sea. 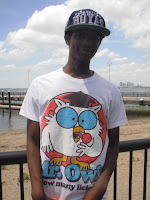 I am an upcoming senior at Boston Day and Evening Academy. 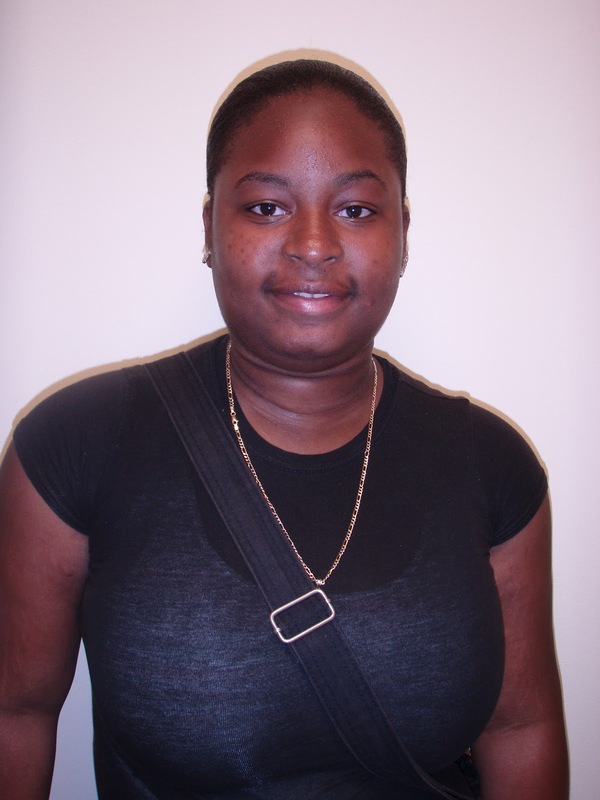 I am from Jamaica Plain and really enjoy getting to know new kids. 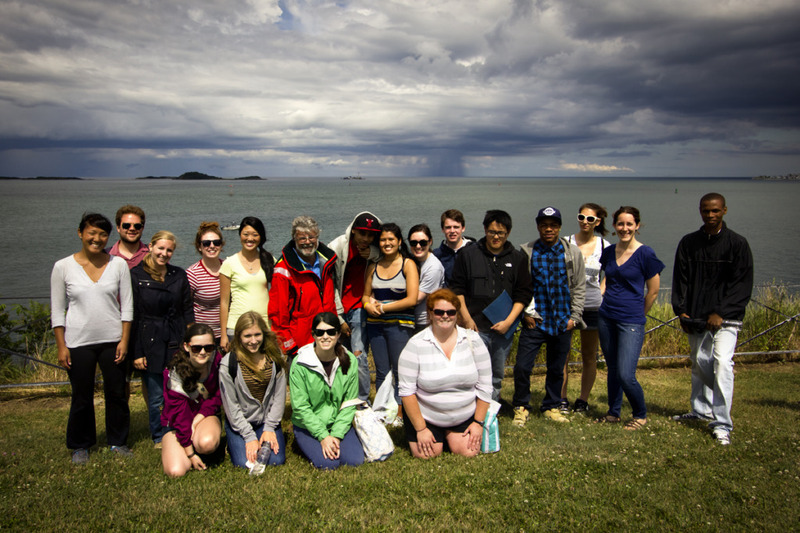 leads the All Access Boston Harbor program from the Bank of America Pavilion out to Georges and Spectacle Islands. 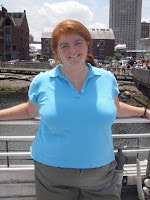 is a veteran Junior Marine Educator from Milton who works with Pat and Aimee in East Boston and Quincy. is veteran Junior Marine Educator from Roxbury who is the Artist in Residence at the All Access Boston Harbor program at the Bank of America Pavilion. is a Junior Marine Educator and John Hancock Summer Scholar from Dorchester who works with Kat at Harry McDonough Sailing Center in South Boston and Aimee at Courageous Sailing Center in Dorchester. 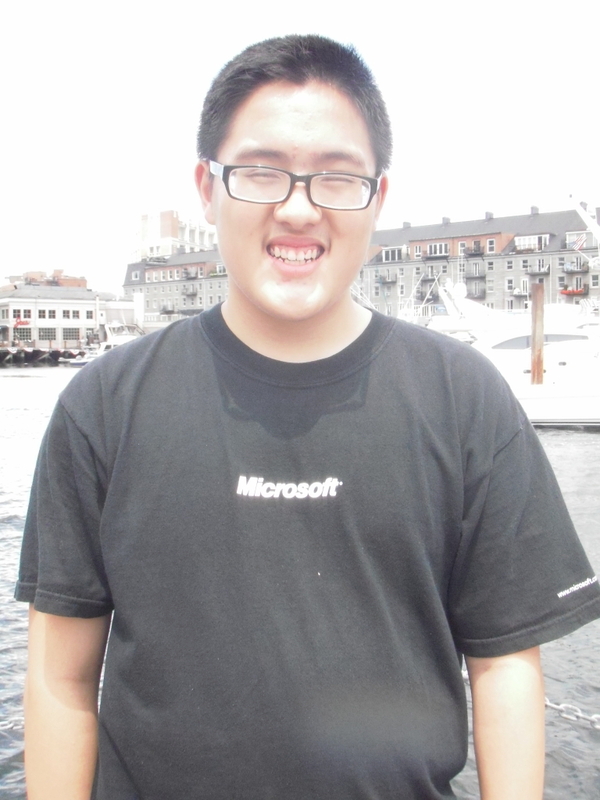 is an intern from Chinatown who joins us from the ABCD Summerworks program and works in the office and on the All Access Boston Harbor program. 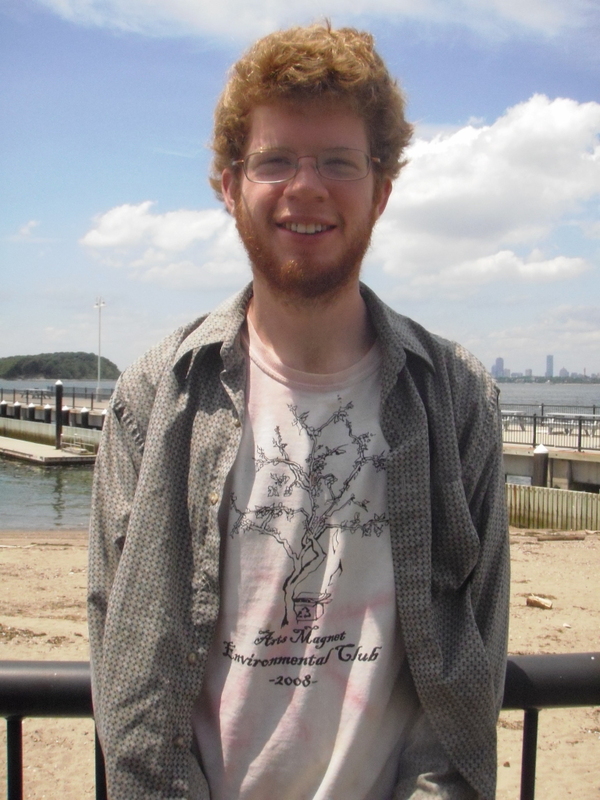 is a Junior Marine Educator and John Hancock Summer Scholar from Dorchester and works in the office and at Harry McDonough Sailing Center in South Boston. 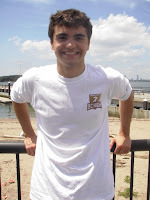 is a Junior Marine Educator and John Hancock Summer Scholar from Charlestown who works with Pat in East Boston at the Piers Park Sailing Center. 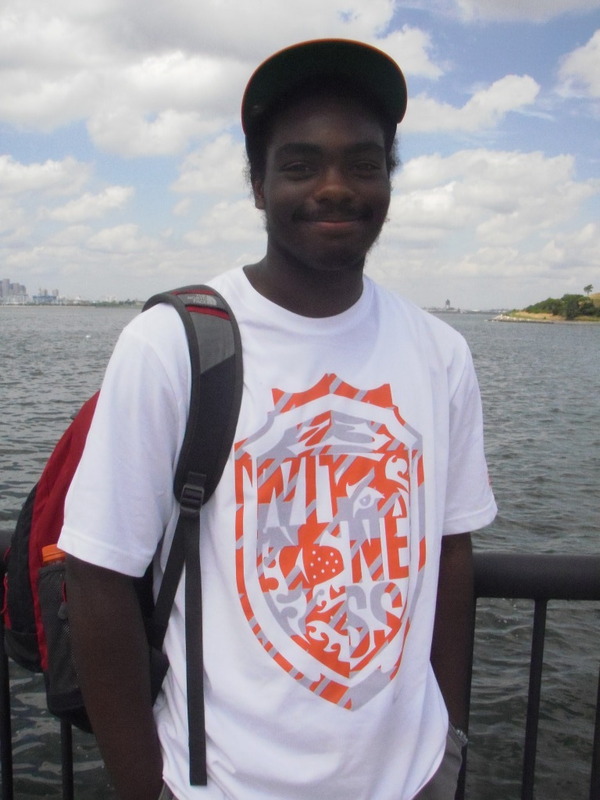 is a Junior Marine Educator and John Hancock Summer Scholar from Roxbury and works with David and Frankie at All Access Boston Harbor in the harbor islands. 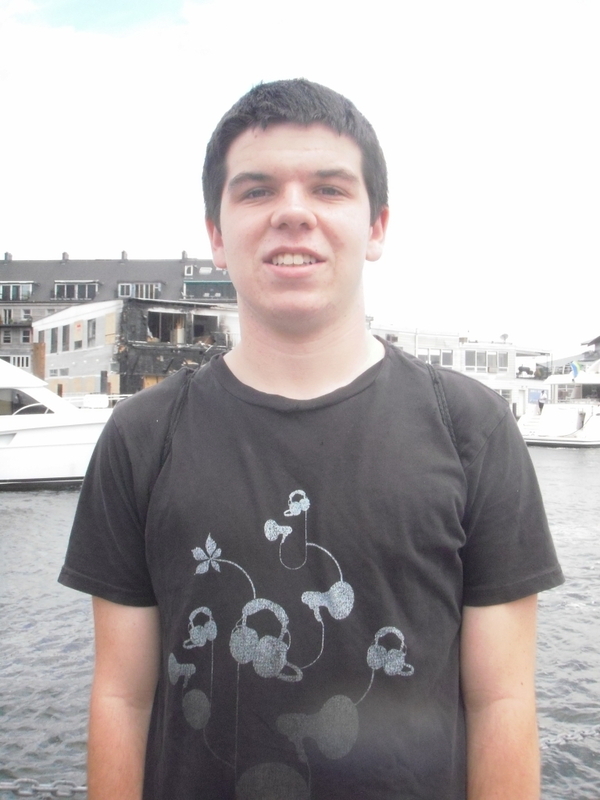 is a Junior Marine Educator from South Boston and works with David to run the All Access Boston Harbor Program out to the Harbor Islands. 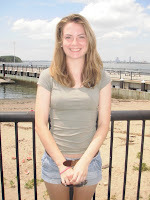 is a Junior Marine Educator and John Hancock Summer Scholar from Dorchester who works with Aimee at Camp Harbor View on Long Island. 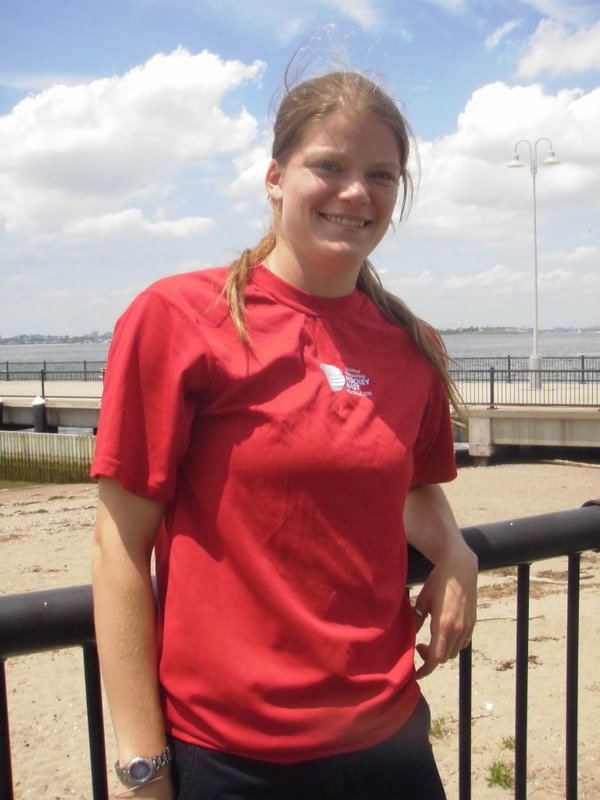 is a Junior Marine Educator from East Boston who works with Pat at Piers Park Sailing Center in East Boston. is a Junior Marine Educator and John Hancock Summer Scholar from Roxbury who works with Kat at Harry McDonough Sailing Center in South Boston. She's originally from Ethiopia. runs the Green Boat at Courageous Sailing Center in Charlestown, and leads the lunchtime Harbor Explorers Program on the docks. 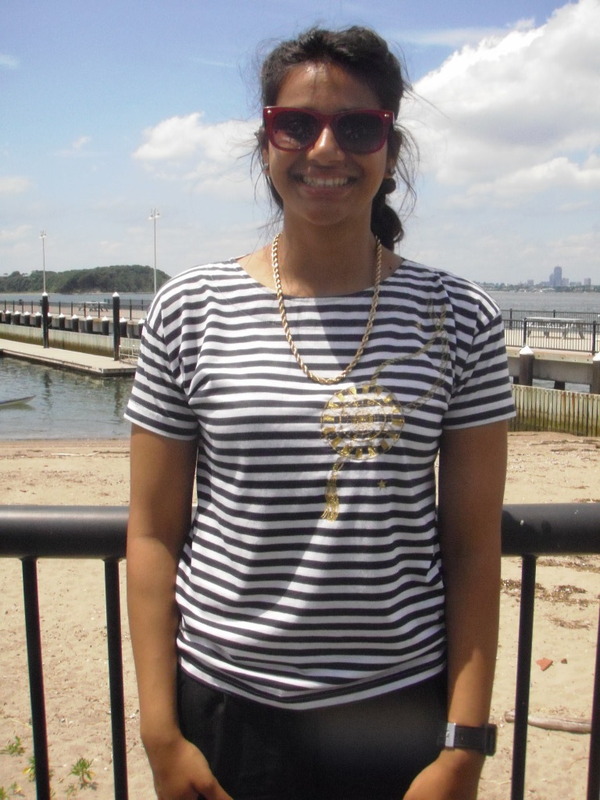 leads the Harbor Explorers Program at Piers Park Sailing Center in East Boston, and at Constitution Beach, Winthrop and Revere. 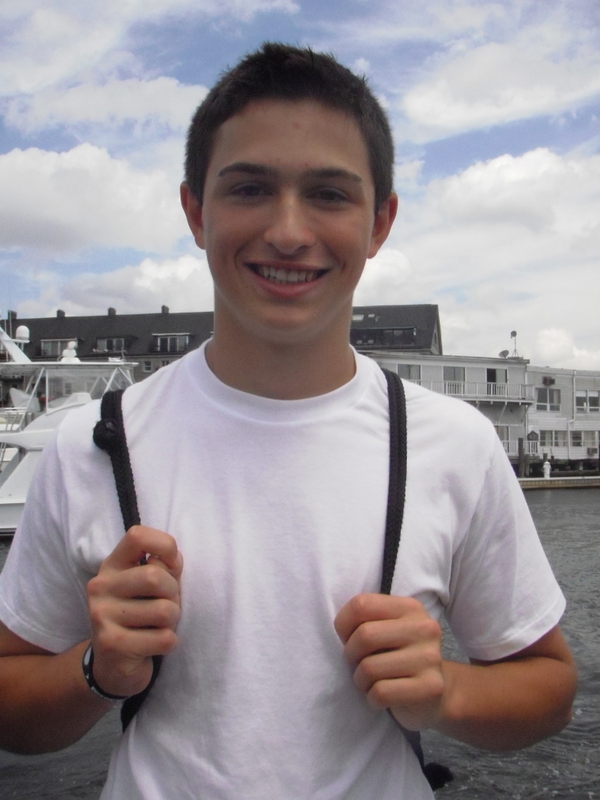 runs the Harbor Explorers Program in Quincy and at Camp Harbor View on Long Island. 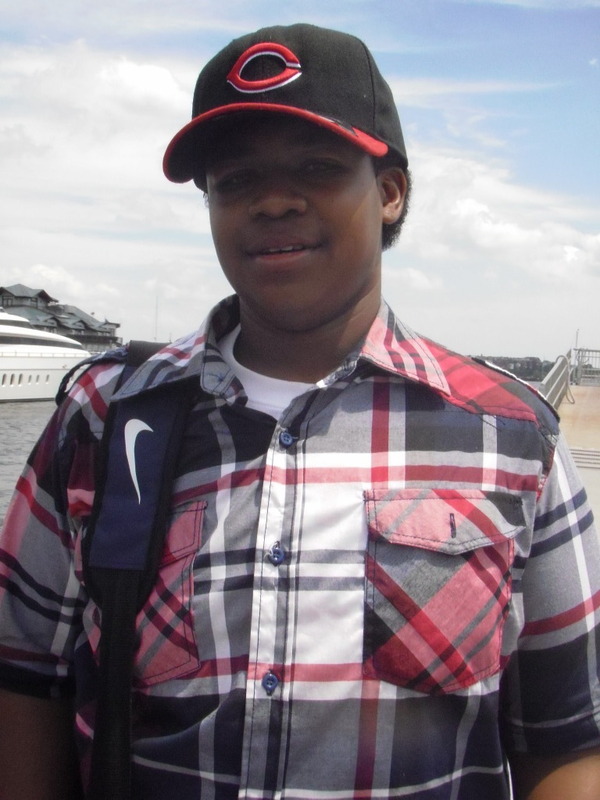 leads the Harbor Explorers Program in the morning at the Bank of America Pavilion in South Boston, and in the afternoon at the Harry McDonough Sailing Center in South Boston. is a Staff Assistant and Webmaster for Save the Harbor/Save the Bay, and moderates this blog. is the Director of Strategy, Communications and Programs for Save the Harbor/Save the Bay, and is in charge of all of our kids' programs.